Choosing appropriate and ideal tires is a bikers’ – both beginner and expert, most discussed quandary. 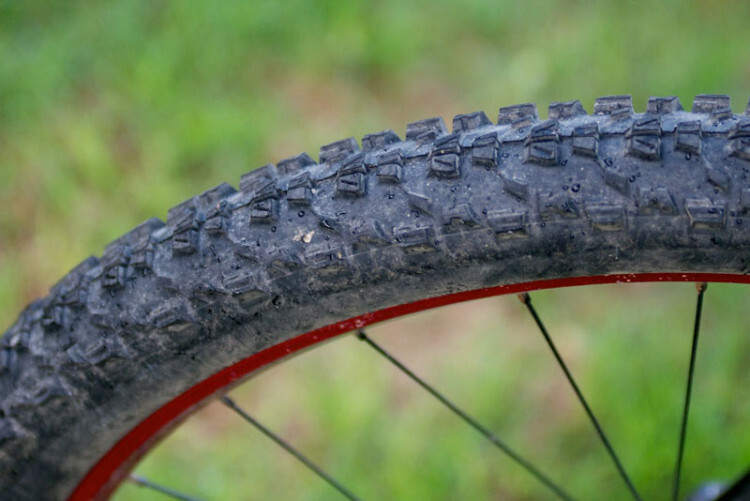 When you think about it, tires are extremely important because they provide the connection between bike and terrain. We can have the best bike with the most incredible suspension in the world, but if we install low quality or less than ideal tires, the bike won’t perform well at all. We know tires are important, but what are the standout features of a good tire? Low rolling resistance? Traction? It’s a tough question, and there isn’t one single, perfect answer… it depends on what you’re looking for: low rolling resistance or traction, a hard tire or a specific tread for a certain terrain. That one miracle tire simply does not exist. There isn’t one perfect tire because each terrain requires a specific tread, compound and casing. So, how does one make the right choice? Let’s start with the typical conditions during the best season on our trails, summer: firm, dry and dusty ground, on well worn earth. On hardpack terrain we don’t need a super aggressive tire because the ground already provides good grip. You typically want to choose a tire with faster rolling resistance to increase pedaling efficiency, especially on high speed sections. A deep lug (too knobby) tread is useless and becomes a disadvantage. Tall knobs, especially with a soft compound, tend to wallow on hard ground because they can’t bite into it. This results in more rolling resistance and less traction, particularly in tight turns where the knobs squirm and fail make sufficient surface contact. Tread: short knobs, tightly spaced, better if ramped. Width: super wide tires aren’t advantageous. It’s better to chose a narrow tire to improve rolling resistance and lower rotational weight to help you save energy. Compound: a compound that isn’t too hard or too soft but has good wear properties, firmer knobs and low rolling resistance. Firm and mainly rocky with loose top soil, in dry conditions tends to form a pebbly layer on the surface which can actually be really slippery. Typically found on popular mountain trails for bikers and hikers, well worn terrain with this pebbly superficial layer is really tricky. It seems to offer good traction, but as soon as you try to brake or corner at high speed, the bike slides out without warning. On hard ground the knob can’t penetrate and the pebbly layer makes the tire slide, so on this type of terrain handling the bike is really tough and often unpredictable. On this terrain it is important to have slightly taller knobs, especially on the sides. A tall enough knob can pass through the pebbly layer and grip on the hard ground below, that helps to keep the bike on track. The most important thing is to have deep grooves between the central and the side knobs, as well as a square tire profile. As mentioned prior, the side knobs are crucial and must have a pretty deep lug. A good side knob allows the tire to firmly grip on pebbly ground, providing traction even in less than grippy conditions. This prevents sudden slide outs. Tread: medium-sized, well spaced knobs with good side knobs are the best choice. On the rear tire, a tread with perpendicular knobs provides a good braking surface. The takeaway point is that tall side knobs are key front and back. Profile: a middle of the road volume allows you to keep the pressure a bit lower, thus helping the tire to lose grip progressively, allowing for predictable drifts. The Onza-Ibex is a perfect rear tire on this kind of terrain: perpendicular knobs provide lots of braking traction. This terrain, typical seen on high alpine singletracks, is very unpredictable and therefore quite difficult to ride for a lot of bikers. The main problem is the lack of grip. On steep sections it is nearly impossible to brake, on turns the wheels sink into the loose dirt and the bike skids. 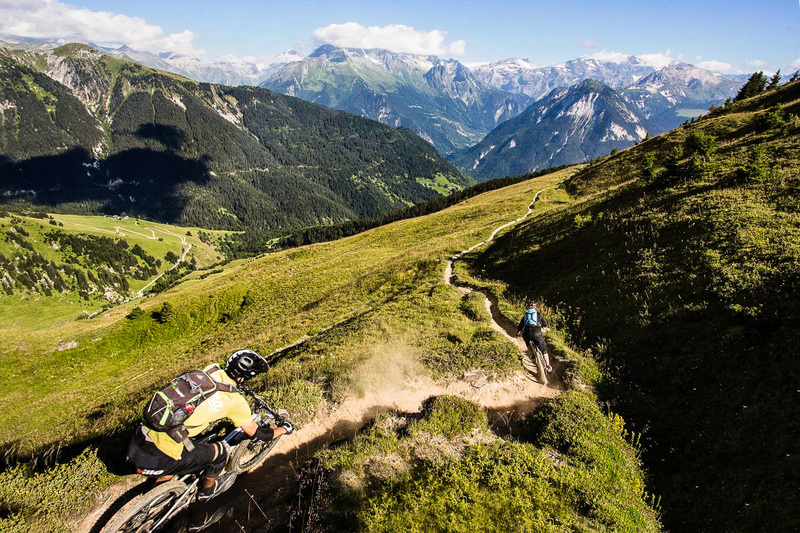 Terrain like this can be treacherous and not only downhills…also on climbs, the rider can struggle a lot: pedaling is strenuous because the wheels sink and provide little traction, consequently the tire slides almost too easily. To ride well on loose terrain you need wider tires inflated at lower pressures. This way the bike floats on top of the loose ground. Is 27.5+ good? 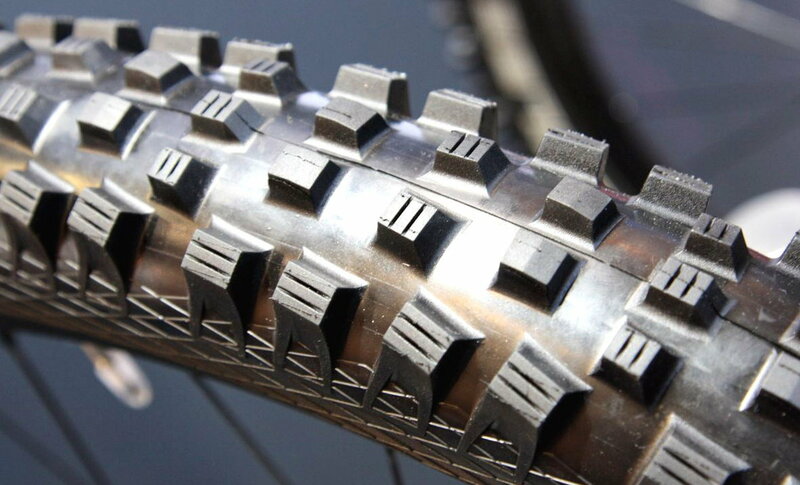 For sure on this terrain semi fat tires are good, but with an ideal standard sized tire you’ll be shredding. Tread: big, squared knobs, widely spaced, with deep grooves and lots of siping. Profile: a high volume allows the bike to float better and use lower pressures, thus improving handling. Compound: softer is almost always better. 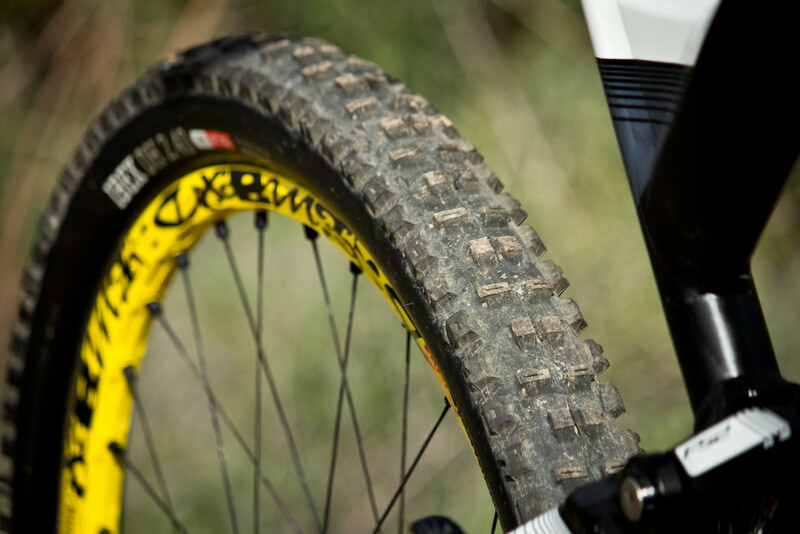 The Schwalbe Magic Mary is one of the best tires on loose terrain. 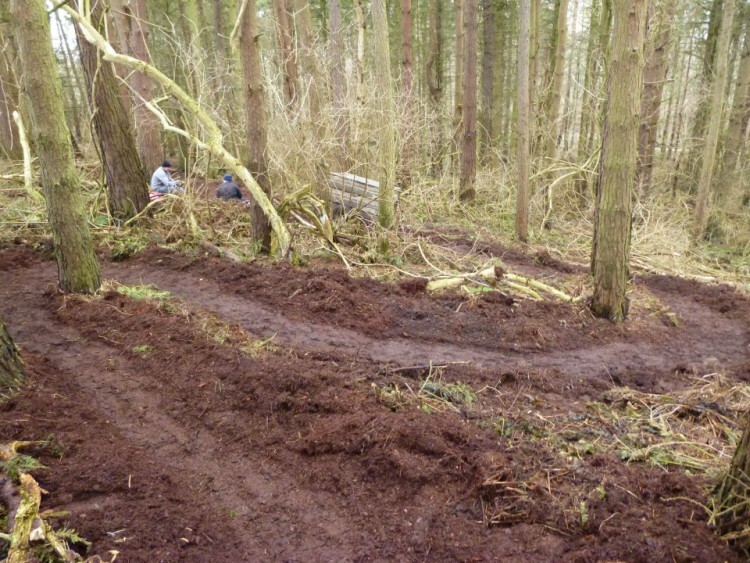 Typically found on brand new singletrack in the woods after rainy days, soft terrain is the most fun to ride. Riding on soft terrain is really predictable because the loss of grip is progressive. The knobs easily sink into the ground and provide optimal grip. A deep side tread is ideal; the most important thing is not the depth of the grooves but the spacing of the knobs. Widely spaced knobs allow the tires to shed dirt nicely. Nicely spaced knobs not only offer lots of traction and prevent the tire from packing full of mud and becoming a slick tire. Tread: broadly spaced knobs with deep grooves. Profile: high volume is not essential as a medium volume is sufficient. Compound: basically, the grip is provided by knobs that bite into the ground, so hard or soft compound doesn’t really matter. However, if you’re riding on rocks or roots, you’re better off with a softer compound as it’s less prone to sliding out on tricky, greasy surfaces. 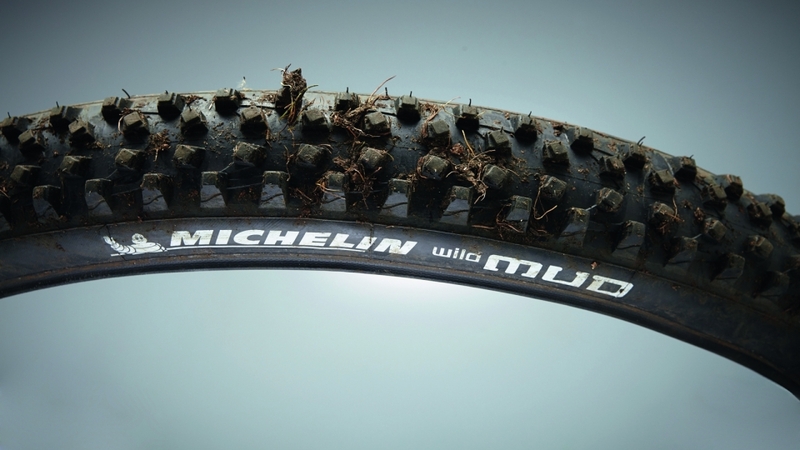 The WTB Vigilante, with tall and widely spaced knobs, is a good tire on soft terrain. The same things can be said about riding on sand, even if it’s uncommon to find such terrain in most regions. 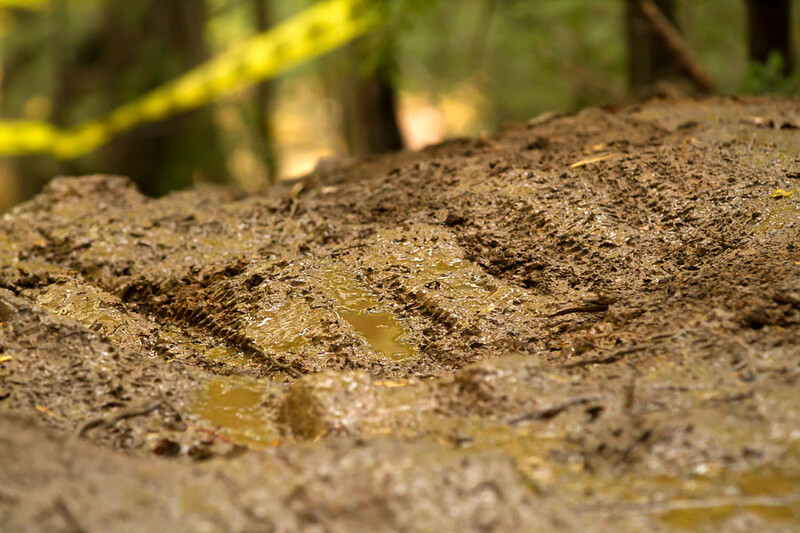 The true mountain biker loves to get muddy, therefore riding right after the rain (or when it’s raining) can be pretty sweet; as long as you aren’t ruining your local trails. On mud, the most important thing is that you don’t fall, therefore rolling resistance is irrelevant. The right tire needs to have really tall and widely spaced knobs and low volume. The goal is to get through the soft surface layer and bite into the hardpack down below. Having a good tire is important both uphill and downhill as it can decide whether you’ll be able to pedal or if you’ll have to get off and carry the bike. Tread: really tall knobs that are really widely spaced. Profile: a narrow tire to cut through the soft surface layer and reach the firm layer down below. Compound: a soft tire which offers good grip even on wet roots and rocks. Tire choice crucially affect the behavior of a bike. A tire that rolls fast (narrow, with short and narrow spaced knobs with a hard compound) provide high pedaling efficiency but, on the other hand, can cause a lack of grip on the descents and in turns. 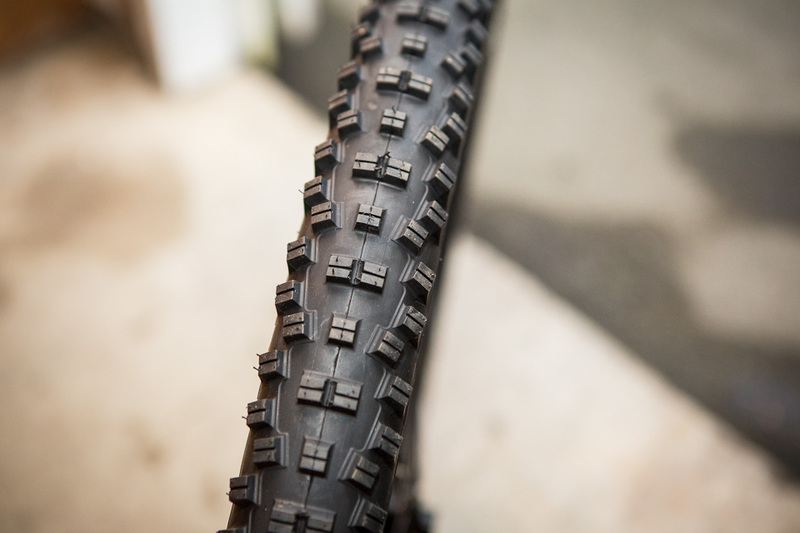 On the contrary, an aggressive tire (wide, with tall and widely spaced knobs and a soft compound) can be efficient on the downhill but will prove heavy and tiring on climbs. Unless you ride on highly worn trials, there’s no need to install such a tire on an enduro bike. The bike won’t climb like an XC and will not perform well on descents either. 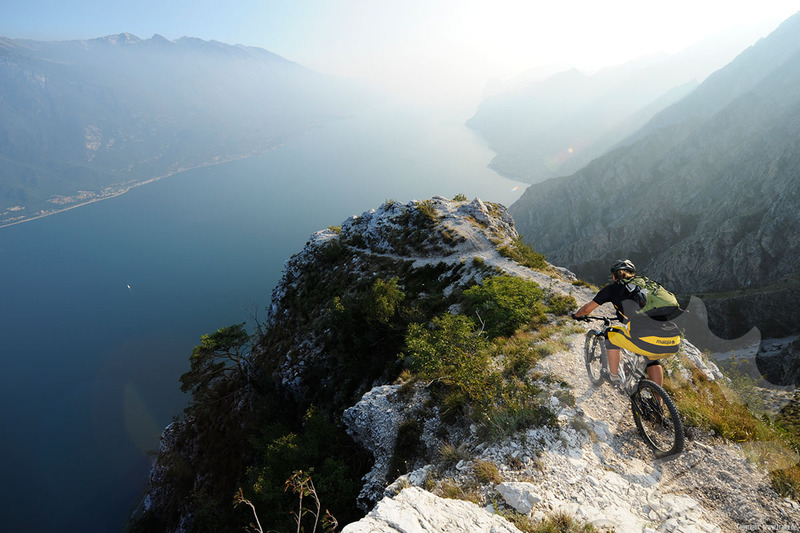 Surely a compromise, depending on terrain, the trail and the type of bike being ridden. 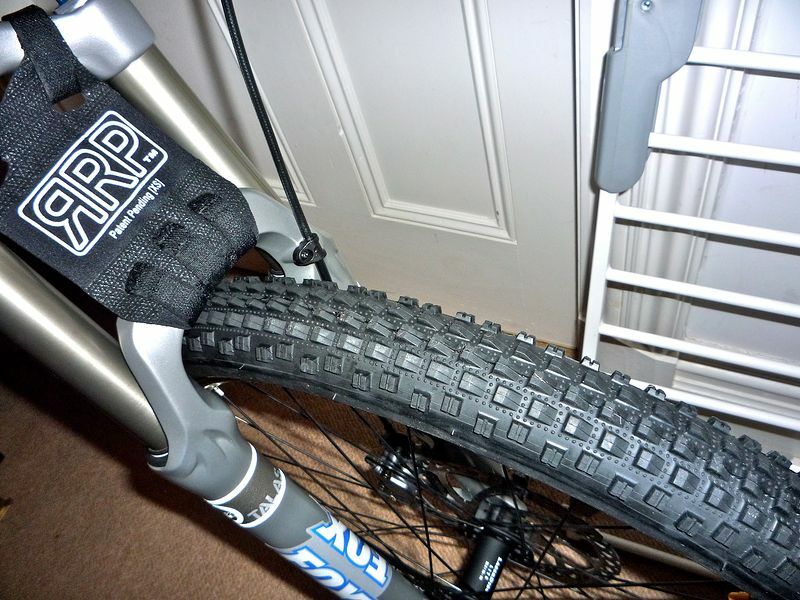 It is useless to install enduro tires on a trail bike and vice versa. In the former case, the bike doesn’t allow you to ride fast enough to take advantage of the tire’s performance, in the latter case, the tires are going to limit the bike’s downhill performance. Each field requires a specific tire. XC requires a fast rolling and light tire to sprint up the climbs. 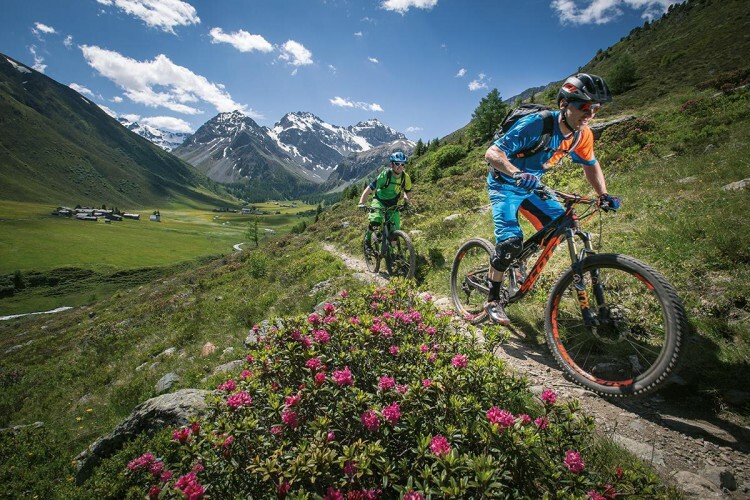 With trail riding and all mountain, a compromise is the best option to climb well and have good grip on the downhills as well, while in gravity disciplines the performance on climbs is irrelvant as downhill is the priority. The front and rear tire work completely different. The front tire must provide the traction in turns, when laying it over and in off camber sections. The rear tire must provide traction while pedaling and grip when braking. It’s not much of a problem if it slides a bit in turns. For this reason it’s ideal to install different tires while trying to find the right ones for their given application. Magic Mary on the front wheel (left) and Rock Razor on the rear one(right) is a good choice for an enduro bike as long as the conditions aren’t too loose. For example, when pedaling (on flat and especially on steep ground) basically all the work is done by the rear wheel, it is good to have a faster rolling rear tire and a knobbier front one. In this way pedaling is smooth enough but handling and traction on the downhills are still well under control. The same can be said about the compound: a harder rear tire provides less rolling resistance, but a softer front tire guarantees more traction. On climbs, the center of gravity moves back and the front wheel carries less weight. Front tire: soft compound, tall knobs (especially on the sides) and a wide size. Rear tire: hard compound, short and tightly-spaced knobs, narrower size. So, is it silly to install the same tire on both wheels? Not always… there are some really good all around tires which can work well both on the front and rear wheel. Perhaps by choosing different compounds or sizes, the same tire can be used well on both wheels. What a mess! Are we telling you to change tires for every type of condition? Yes, theoretically, but, excluding races, where top level performance is the goal, of course it’s unreasonable to choose and swap tires based on the terrain. What you can do is to make a reasonable choice based on what you ride the majority of the time. 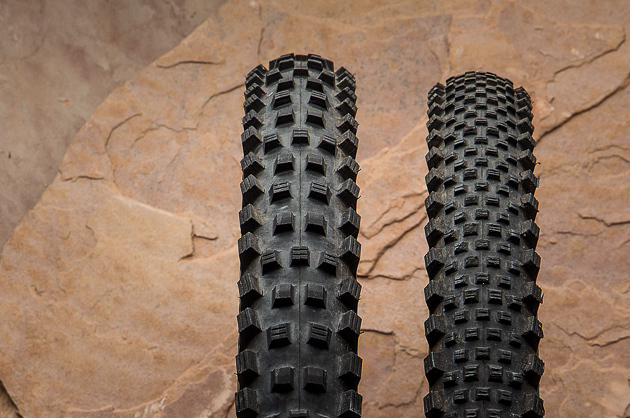 Think about your home trails and the terrain they consist of, and choose a tire accordingly. The best part is that most of the big brands make a host of amazing tires so if you heed this advice, you can’t really go wrong.